Nokia Still Confused making Tablet Computer ~ " World Information "
The market continues to contested tablet computer vendors world-wide success since Apple released the iPad. But strangely, Nokia class vendors even do not have a fight preparation the market because it is still confused. Although rumors have been milling about the presence of the Nokia tablet, the product is not likewise appear. Nokia boss himself admits that his true Nokia also fascinated to see plump tablet market. But they still consider a lot of things to make the right products and special. Nokia also still confused about the operating system will be used. "We could take advantage of Microsoft technology and software, create a tablet-oriented Windows or do something with other software assets that we have. Our team is currently assessing the right strategy for the Nokia tablet," said Nokia CEO, Stephen Elop. Yes, Nokia is still considering carefully tablet OS. Although already allied with Microsoft, they may hesitate to use the Windows 7 that is less friendly to the tablet. 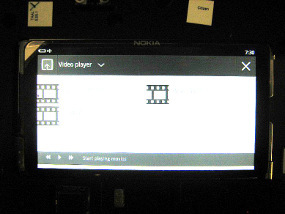 On the other hand, Nokia wanted to also make sure the tablets is different from a row of other tablets. "We have more than 200 different tablets on the market, only one of them that work very well. My challenge is, I do not want to have a tablet to 201 in the market that do not differ from the others," he said as quoted from Engadget, Friday (04/28/2011). "We must bring the uniqueness of the Nokia, so the team worked very hard for something that will be different than all other products," he concluded. Unfortunately still not clear when Nokia will bear the tablet champion. Looks like it will take a long time.